Multiport Valve, offered by us, stands out of all others as it is flawless on counts of tensile strength, resistance to abrasion and finish. 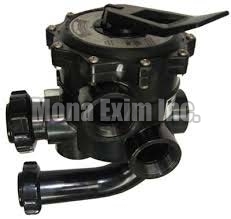 We are a celebrated Manufacturer, Exporter and Supplier of Multiport Valve from Maharashtra, India. Owing to our logistic network, timely delivery of the placed order, whether small, medium or big, is always executed. For price quotes; stay completely assured to get the best from us.